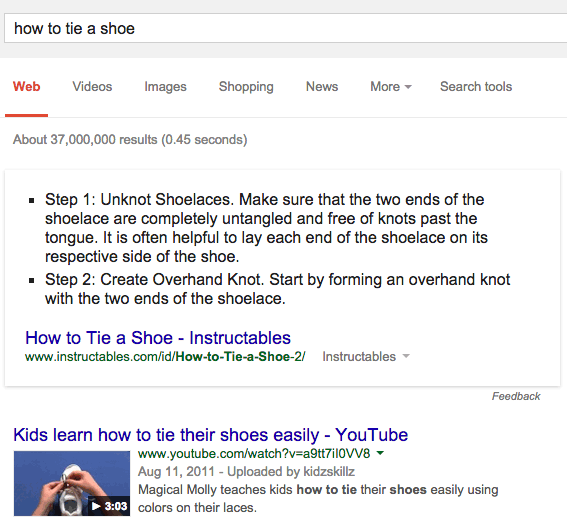 Google Dropping Videos In Search Results In Place Of Answers? Videos in the Google search results use to be one of the most popular vertical search features you'd find in the search results. But it is happening less often these days. Some SEOs say 68% less often. A Black Hat World thread has one SEO asking where have they all gone, and another SEO posted stats from a sample size of about 10,000+ queries saying the drop has been close to 68%. He said, "roughly 68% of video keywords were demoted/deranked/removed right off page 1 of Google." Have your videos taken a dive? Previous story: Would You Let Google Look Over Your Shoulder As You Work?